Believe it or not, Andrew did not begin his career with The Guyton Group. Andrew has spent his entire life immersed in the business of financial strategy. Andrew started his practice in Boston, MA in 2012 with the Bulfinch Group. After successfully developing his business, Andrew and his wife moved to New Hampshire as their family began to grow. At that time, Andrew and his father Joe decided to combine forces at the Guyton Group, allowing for a unique combination of youth and experience. Andrew’s passion is showing current and prospective clients new and more efficient ways to implement their planning. Andrew takes a macroeconomic approach, which means that he isn’t simply speaking to investments or insurance, but instead consulting on his client’s entire financial plan. Andrew has recognized that most people who work with an advisor have simply received opinions about certain areas of their planning, typically only in the investment space. 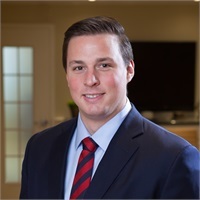 Andrew leverages The Living Balance Sheet® to take an approach based on math and science that allow his clients to eliminate financial mythology from their planning and develop a custom-tailored program to gain control and mastery of their financial well-being. Andrew’s promise to his current and future clients is that he will take the existing opinions and tactics within their plan and distill them into a cohesive strategy in an experience they have never had before. You will never dread a financial strategy meeting again. Andrew and his wife Jennifer have three children, James, Claire and Owen and they are all Andrew’s pride and joy. In his free time, he enjoys time with his wife and kids. He also enjoys golfing, working in his yard and meeting new people. Andrew earned his BS in Finance from Providence College and is an alumnus of Governor Dummer Academy. He is a qualifying member of Guardian Leaders Club, Executive Club, and Centurion club and is the recipient of the National Association of Insurance and Financial Advisors 4 under 40 award. He serves on the Board of New Heights in Portsmouth, NH and hosts an annual charity golf tournament that has donated their proceeds to the Seacoast chapter of Veterans Count. The Living Balance Sheet® (LBS) and the LBS logo are service marks of The Guardian Life Insurance Company of America (Guardian), New York, NY. © Copyright 2005-2018 Guardian. The NAIFA Massachusetts 4 under 40 award is not issued or endorsed by Guardian or its subsidiaries. Registered Representative and Financial Advisor of Park Avenue Securities LLC. Financial Representative of The Guardian Life Insurance Company of America.